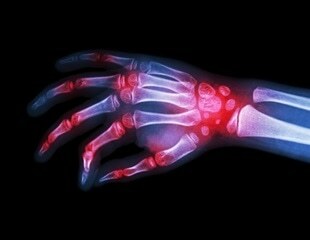 Statins have been linked with muscle pain and other musculoskeletal adverse events in some patients. A new Pharmacology Research & Perspectives study has examined the timing of MAEs that develop during statin therapy and determined whether concomitant drugs used concurrently with statin therapy shifts the timing of MAEs. Blood pressure and cholesterol lowering drugs continue to improve survival in patients with hypertension after more than a decade, according to late breaking results from the ASCOT Legacy study presented at ESC Congress 2018 and published in The Lancet. Pairing an online patient dashboard with "nudges" to doctors tripled statin prescribing rates in a clinical trial led by Penn Medicine researchers. Last month alone, 23 percent of Americans took two or more prescription drugs, according to one CDC estimate, and 39 percent over age 65 take five or more, a number that's increased three-fold in the last several decades. Getting a large dose of a statin did not have an impact on major adverse cardiac events among a broad population of patients slated to undergo percutaneous coronary intervention, a procedure to clear blocked arteries, in a trial being presented at the American College of Cardiology's 67th Annual Scientific Session. Among patients with persistently high cholesterol despite high-intensity statin therapy, the proprotein convertase subtilisin-kexin 9 (PCSK9) inhibitor alirocumab reduced rates of major adverse cardiovascular events by 15 percent compared with placebo, in a study presented at the American College of Cardiology's 67th Annual Scientific Session. When patients were unaware they were taking statins there was no reported increase in muscle-related symptoms. But, when patients knew they were taking a statin, they were more likely to report symptoms, a finding consistent with the nocebo effect. Chemists at The Scripps Research Institute have developed a broad and strikingly easy method for synthesizing a class of molecules that have demonstrated value as pharmaceuticals. Common anti-cholesterol drugs show promise for reducing the risk of Alzheimer's disease, a University of Southern California-led study of Medicare data reveals. A large national study has confirmed the value of high-intensity statin treatments for people with cardiovascular disease, according to researchers at the Stanford University School of Medicine. High cholesterol might harm more than our cardiovascular systems. New research using animal models, published online in The FASEB Journal, suggests that high cholesterol levels trigger mitochondrial oxidative stress on cartilage cells, causing them to die, and ultimately leading to the development of osteoarthritis. Coronary or peripheral bypasses are the most frequently performed vascular operations. Although one million patients per year and around the world, undergo this intervention, its failure rate reaches 50%, because of poor vessel healing, leading to vessel graft occlusion. In the first major trial of its kind, Cleveland Clinic researchers used a blinded rechallenge with atorvastatin or placebo to objectively confirm the presence of muscle-related symptoms in patients with a history of intolerance to multiple statins and found that evolocumab (a PCSK9 inhibitor) was a more effective option to lower cholesterol than ezetimibe in these patients. Steven E. Nissen, M.D., of the Cleveland Clinic, and colleagues identified patients with muscle-related adverse effects from statins and compared lipid-lowering efficacy for two nonstatin therapies, ezetimibe and evolocumab. The study was published online by JAMA, and is being released to coincide with its presentation at the American College of Cardiology's 65th Annual Scientific Session & Expo.